Print. Cut. And Give Thanks. 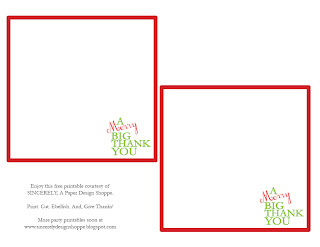 Tis the season to write our thank you notes. And those special gift-givers certainly deserve our gratitude for picking out that special something we would not give ourselves. Or baking a treat that made us smile. Or sending a package to our children that made the holiday extra special. 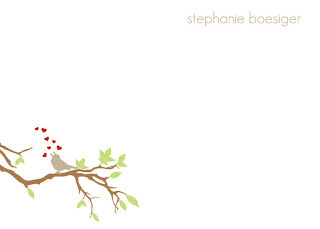 I know I have many thank yous to deliver - including all of you who support this creative journey of mine! 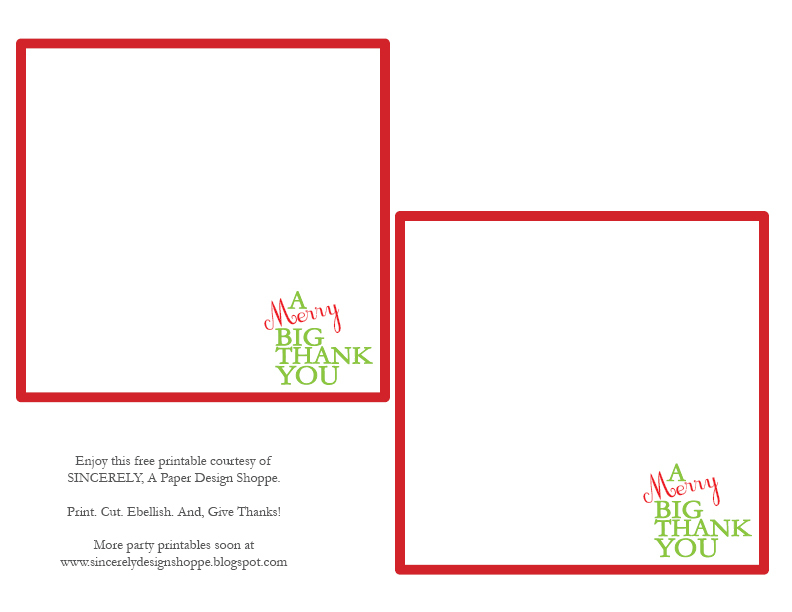 Please send me an email at marceystone@yahoo.com with "thank you" in the subject line, and I will send you this complementary printable thank you card. My treat. This design fits in a 6x6 square envelope (you can pick them up at Michael's or any paper store). 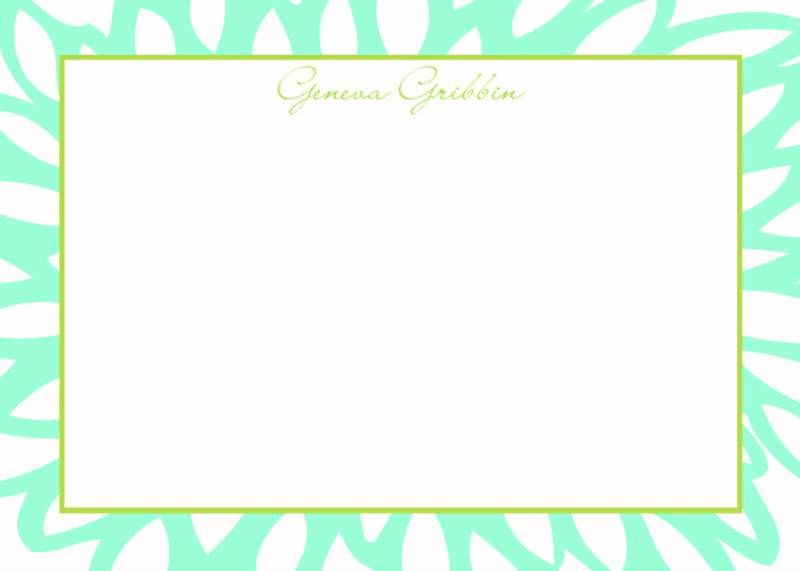 Simple print to a color printer on cardstock, cut, embellish if you'd like, and get to writing! 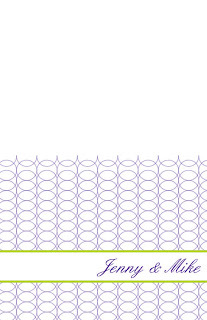 SINCERELY will be taking an exciting new step in 2011. 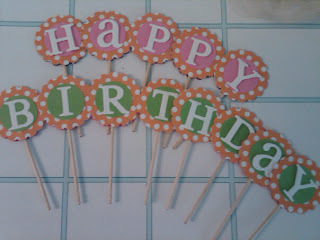 I will be launching a site of party printables soon, including tags, banners, table decor and party hats. This will be a fun way for the DIYers to print, cut and embellish to make parties and special events feel custom-made and extra special. Stay tuned for more. And happy, happy new year to everyone. May this be our best year yet! 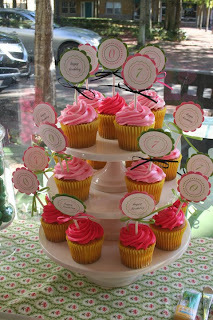 I have been so honored to work on these parties showcased above. Great parties. Great hostesses. Great ideas. I love each new challenge. This gives you a feel for what kind of custom design work we can do for you. 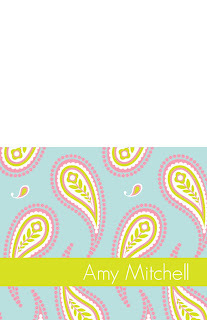 And, coming soon, downloadable templates for the DIY types! Thank you to the wonderful friends who trusted me with thier special moments. Contact me for pricing at marceystone@yahoo.com or visit Sincerely at our facebook page. Most items start at $1.25 a piece. Make Halloween a little more spook-tacular by adding a touch of paper goodness to your decor and treats! Cupcake toppers, treat tags or fun strings of garland.....we've got you covered. If you can imagine it. I want to create it. Here are a few of our recent projects. 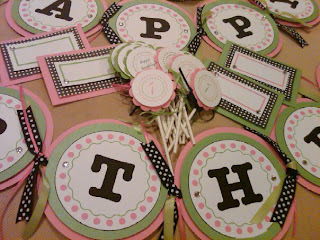 From corporate cupcake toppers to fun, birthday bucket tags - paper art can add a special touch to any event or occasion. Prices vary. Contact me to chat. Beach Bash? Rock & Roll Party? We've got you covered. 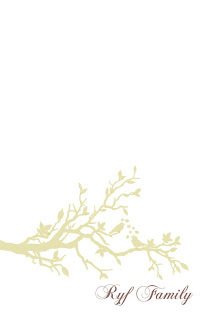 Printed on white or ecru, 60 lb. cover stock. Color scheme and copy can be customized. $2 each or set of 10 for $18. to make your event extra special! 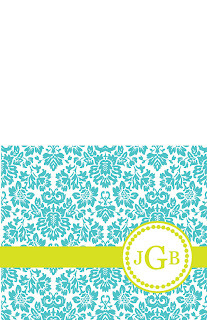 A sweet border shows personality and flair. 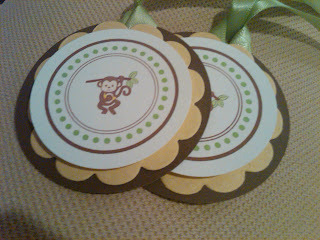 Just a touch of whimsy makes these flat notecards a personal favorite! Weddings are very personal. 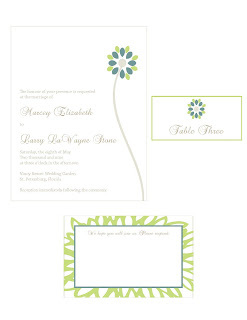 The right save the date, shower or wedding invitation can be made just for you. 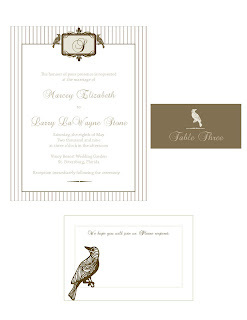 But here is a sampling of specialty invitations that will work for just about any event. 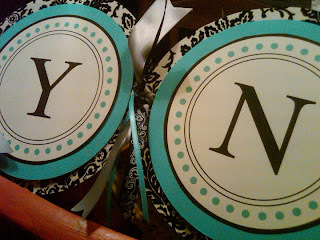 I'd love to be a part of your special celebration, sincerely!Weddings are very personal. 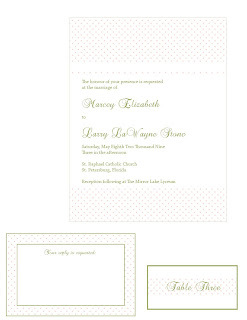 The right save the date, shower or wedding invitation can be made just for you. 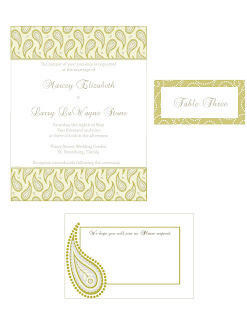 But here is a sampling of specialty invitations that will work for just about any event. 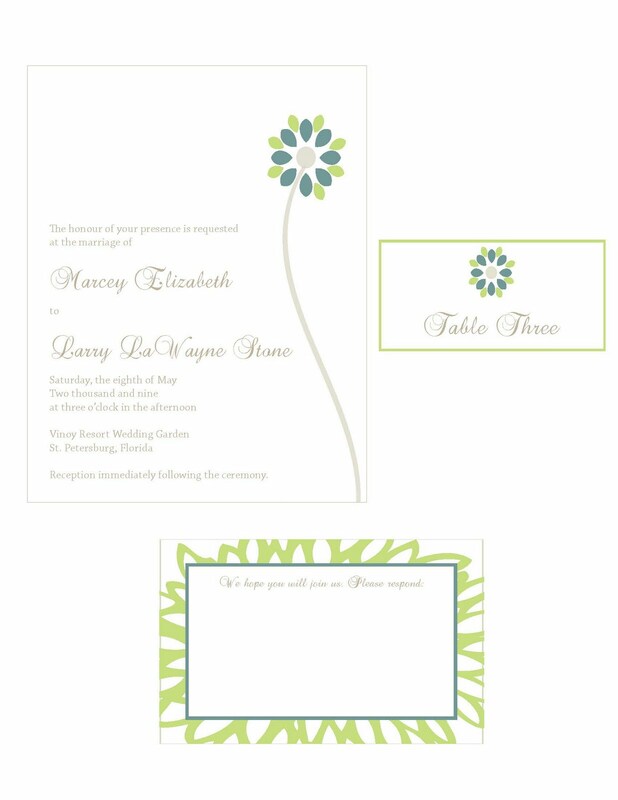 I'd love to be a part of your special celebration, sincerely! Order one of these designs and I will customize the wording and font for only $25. 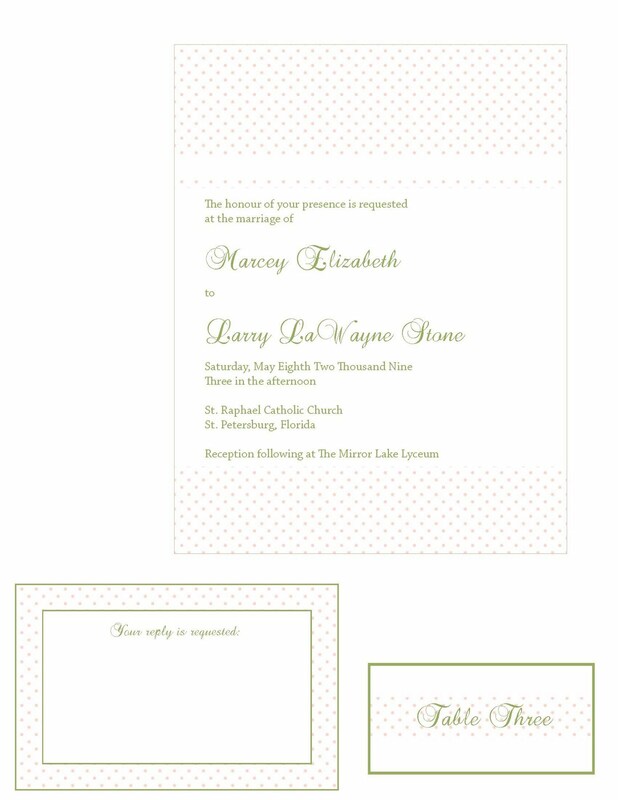 And, I will coordinate printing with an excellent local printer or printer of your choice. Even better, DIY! 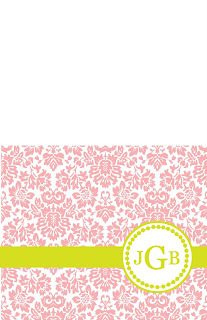 As classic as it gets, this notecard is for the girly-girl in your life, even if its you! Modern, yet elegant. That is why I love this design for anyone and any occasion. 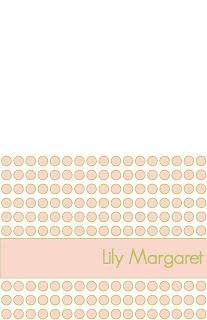 I wonder if I am the only one who loves polka-dots? If not, these are the perfect notecards. 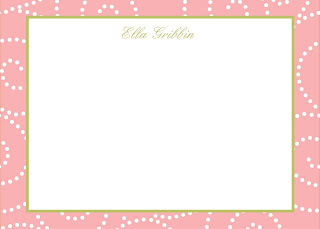 Adorable for girls of all ages, this folding note is a great gift for you or someone you love!